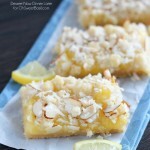 Blonde Lemon Brownies - Dessert Now, Dinner Later! 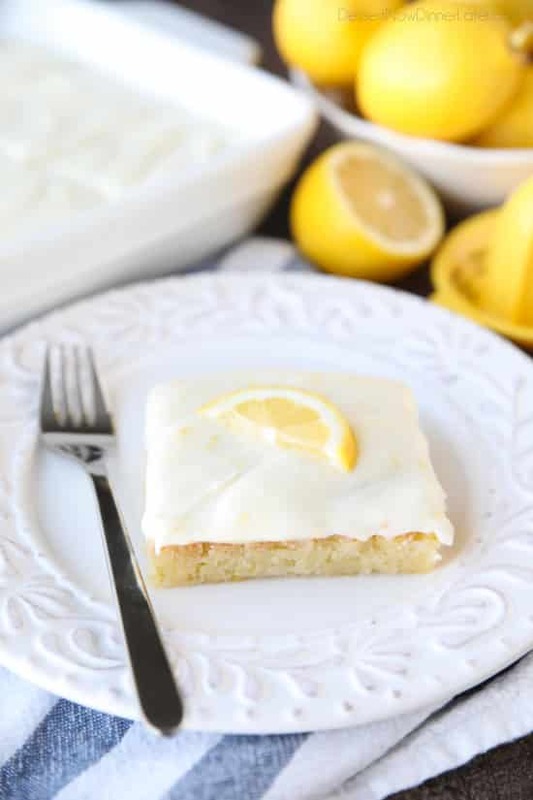 These Blonde Lemon Brownies are wonderfully tangy, sweet, and moist dessert bars. 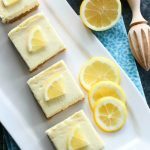 They have a dense texture like a fudgy brownie, and are topped with a creamy lemon icing for the ultimate lemon dessert. 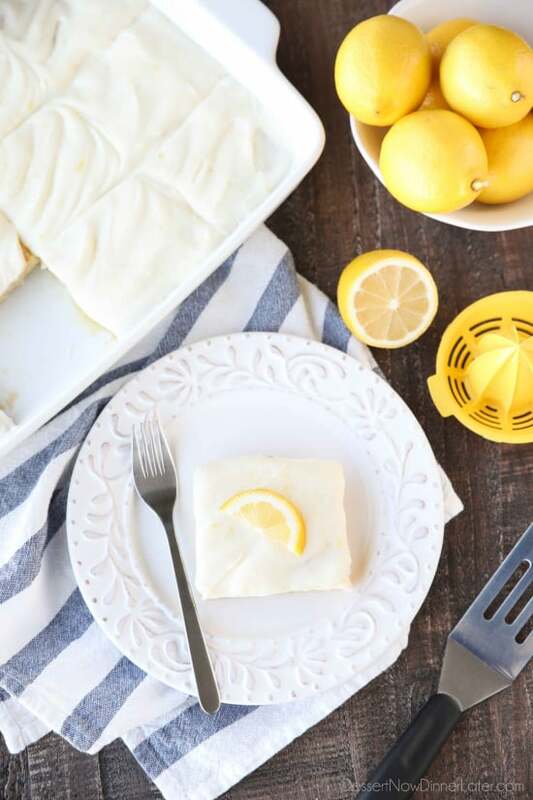 It’s not quite Spring, but I’m looking forward to it by baking citrus desserts! I shared these Blonde Orange Brownies back in 2013 and they were so good! I realized, “I should make a lemon version of these!” And here they are! 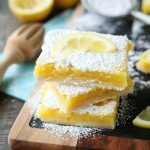 These lemon brownies are more likely to be considered blondies because of their color. They’re thick, dense, and moist like a brownie, without the chocolate. There’s also no leavening in them, besides the eggs, so they aren’t puffy and light like a cake. 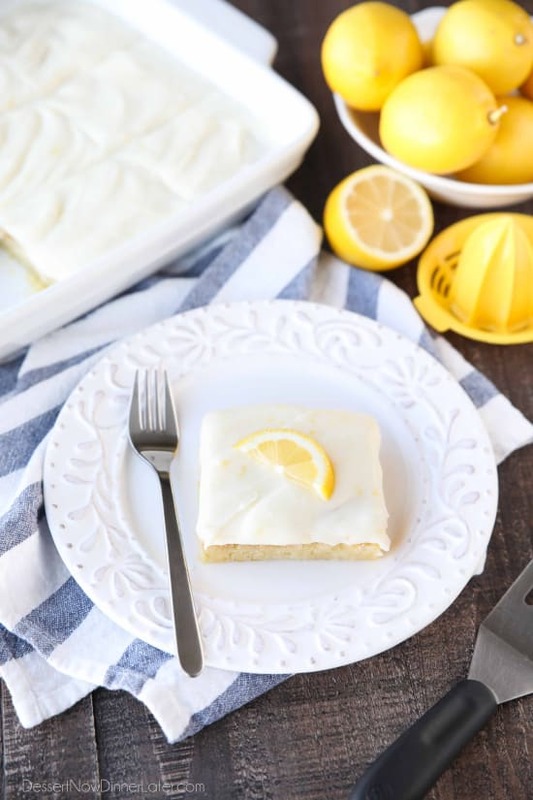 The use of lemon juice and zest in the batter and icing creates a bright, slightly tangy note, and added freshness to these dessert bars. 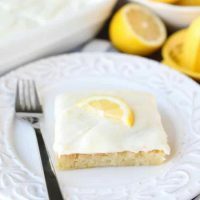 The sticky icing is the perfect addition of smooth and silky creaminess to slather on top of these Blonde Lemon Brownies. 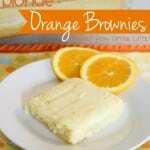 If you’re a citrus fan, then this is recipe for you! Preheat oven to 350 degrees Fahrenheit. Grease a 13×9-inch baking dish with cooking spray. Set aside. For the Brownies: Cream the butter and sugar. Add the eggs and mix well. Add the lemon zest and juice. Mix until incorporated and scrape bowl. Combine the salt and flour. Add dry ingredients to the wet ingredients and mix until just combined. Spread batter into the prepared 13×9-inch pan. Bake at 350 degrees Fahrenheit for 25-30 minutes, until a toothpick comes out clean from the center. The top and edges will be lightly browned. Spread icing over cooled brownies. Cut and serve. 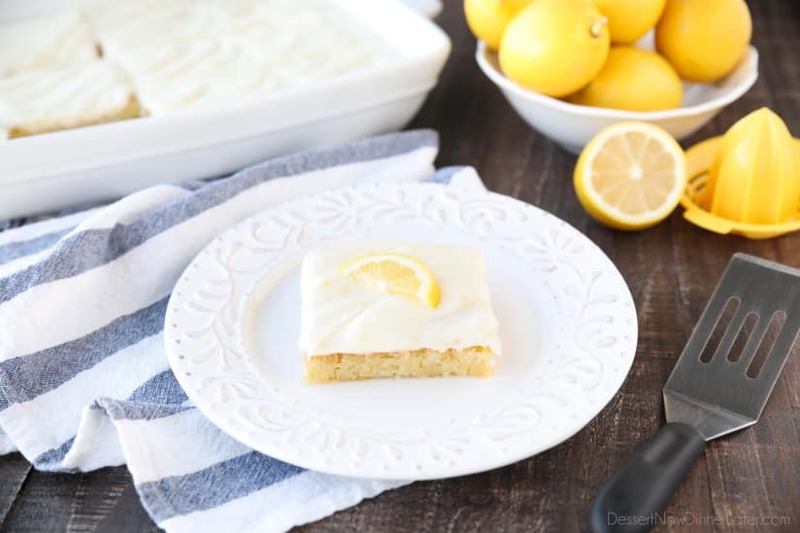 Store Blonde Lemon Brownies at room temperature (72 degrees Fahrenheit) or in the refrigerator, as desired. *This recipe needs about 3-4 fresh lemons. *1 lemon = about 1 tsp zest & 2-3 Tbsp juice.